As a bankruptcy attorney in Loveland, Colorado, clients often ask me about exemptions specific to our state. One such exemption that applies to many Colorado citizens filing for bankruptcy is the Colorado Homestead Exemption. To help explain the Colorado Homestead Exemption, which works in both Chapter 7 and Chapter 13 bankruptcies, here are some fast facts from Nolo. Under the state’s exemption system, Colorado homeowners may exempt up to $60,000 of their home or property covered by the homestead exemption. If the homeowner (or the homeowner’s spouse or dependent) is disabled, or if he or she is 60 years old or older, the exemption is raised to $90,000. If a married couple is filing for a joint bankruptcy, some states allow them to double the amount of their homestead exemption. In Colorado, however, doubling the homestead exemption is not permitted, even though spouses can double other exemptions. The Colorado Homestead Exemption applies to real property, such as your home, condominium, mobile home, manufactured home, or house trailer. To take advantage of the exemption, however, you must occupy the property. The exemption also applies to sale proceeds of your property, exempting the sale proceeds for two years after they are received. Colorado does not allow bankruptcy filers to use federal bankruptcy exemptions in place of state exemptions. If you live in Colorado, you use the state exemptions. 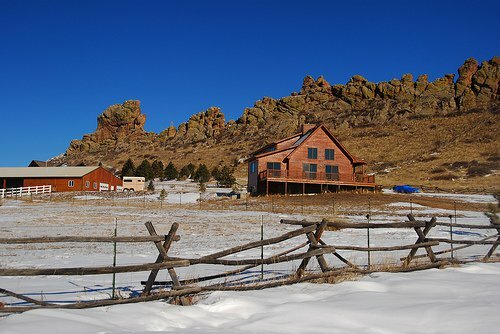 The homestead exemption is typically automatic in Colorado, meaning you do not have to file a homestead declaration in order to claim the homestead exemption in bankruptcy. Be aware that for certain older obligations incurred before July 1, 1975, the homestead exemption may not be applicable unless a declaration is recorded. Colorado’s exemption amounts are adjusted periodically to account for inflation. This includes the homestead exemption. You can find the homestead exemption in the Colorado state statutes at Colorado Revised Statutes § 38-41-201 through § 38-41-207. If you have questions about the Colorado Homestead Exemption or any other aspect of filing for bankruptcy in Colorado, contact an experienced bankruptcy attorney.